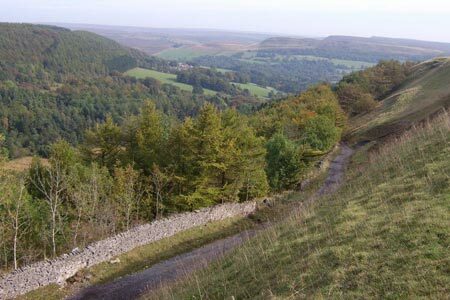 This fairly long North York Moors walk is part of a series of circular walks covering the Cleveland Way. For that reason it continues down to High Paradise and this route can be shortened if necessary. Generally navigation is nor problematic and the paths and tracks provide good walking.